Chuan Thye is a Senior Counsel of the Supreme Court of Singapore and a Fellow of the Chartered Institute of Arbitrators. He graduated from the University of Oxford, England with first class honours and was subsequently called as a barrister of law at Middle Temple, England. He was admitted to the roll of advocates and solicitors of the Supreme Court of Singapore in 1991, and started his career as one of the first Justices Law Clerks to the Supreme Court of Singapore. Chuan Thye has a broad commercial, corporate, financial and infrastructure dispute resolution practice as lead counsel in various court and arbitration proceedings. The practice has a wide geographical scope and he represents a range of domestic and international entities. He has been recognised by leading publications – such as Chambers Global – in the field of dispute resolution work, in particular that he is “extremely bright” and a “great advocate, very sharp and good at strategising”. 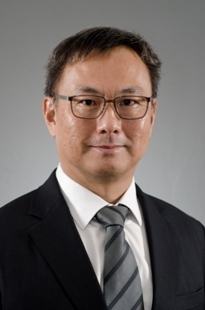 Chuan Thye takes an active role in the Singapore legal profession and sits on various committees of the Singapore Academy of Law, and chairs disciplinary tribunals established under the Singapore Legal Profession Act to consider complaints against lawyers practising in Singapore. He is also a member of various statutory appeal and review bodies. A series of proceedings involving disputes between shareholders and claims by a family company against its former managing director, after the death of its founder shareholder, for diversion of corporate opportunities and misappropriation of corporate funds. A claim for breach of pre emption provisions in the articles of association of the holding company of one of the prominent social clubs in Singapore. Claims arising out of a share sale agreement in relation to a significant consumer goods business in Myanmar. A claim against the manufacturer of offshore equipment for faulty design and manufacture of pipe laying equipment. A claim against an engineering and construction company and its Singapore parent by a Japanese corporation in respect of a project in Thailand. A claim by a Taiwanese on-line games company against a South Korean games development and distribution company. A claim by an Indonesian consumer electronics goods company against a Singapore company for the failed installation and customisation of an enterprise resource planning system in Jakarta and other cities in Indonesia. The recovery of amounts due under ISDA contracts in the financial markets turmoil following the collapse of Lehman Brothers. A fraud and tracing claim by a Canadian company against a fraudster with funds in Singapore. A number of oppression of shareholder actions in companies engaged in a variety of business sectors. Acting for liquidators in claims against former management of an insolvent company for breach of duties. Advising a takeover target with regards to potential challenges to securities regulators’ rulings in a significant hostile takeover battle. Advising financial markets intermediaries on show cause matters with their regulators. Advising on the enforcement by note holders of the payment obligations of a significant Malaysian property entity. Advising a US pharmaceutical company in enforcing Foreign Corrupt Practices Act provisions in its Taiwanese distribution agreements. Advising a Singapore company on a project in Jordan involving the Jordanian government and the building and fitting out of a museum showcasing the history of the kingdom of Jordan. Advising on various anti-corruption investigations originating in the United States under the Foreign Corrupt Practices Act. Advising various product liability matters arising from faulty toys and food products manufactured in the PRC and litigation in a number of US state jurisdictions. Counsel for a construction co-venturer against an Asian oil major in respect of long term revenue sharing obligations. Counsel for a Thai franchisee of an international franchise with regards to excise tax deductions from royalty payments. Counsel in proceedings between co-producers of an oil and gas field in Asia. Counsel for liquidators of a Mauritius investment holding company in respect of claims by a shareholder on a pre-liquidation shareholders agreement. Counsel for claimants in an ICC arbitration concerning the operation of and the off take of electricity produced by a power plant in Pakistan. Counsel for claimants in an ICC arbitration in respect of an investment into the Malaysian mobile telecommunications market. Counsel in arbitrations concerning production sharing contracts and concessions covering various fields in Indonesia and Thailand. Counsel in an arbitration between vendor and purchaser of a production agreement relating to oilfields in Indonesia for additional taxes imposed after the date of acquisition of rights. Advising a Singapore listed company in resisting a competing adverse claim to coal mining rights in Kalimantan, Indonesia. Counsel to an engineering consortium in an arbitration over tunneling works for the power industry in Singapore. Counsel for the vendors of a palm oil production and treatment plant in Malaysia in arbitrations arising out of the disposal. Counsel in an ICC arbitration between banks in respect of a foreign currencies derivatives business co-operation agreement for operations in north Asia. Counsel in various SIAC and ICC arbitrations for international manufacturers of food, pharmaceutical and other health products in disputes arising from the termination or renewal of their distribution agreements. Advising on disputes involving the provision of satellite and cablevision television services in Indonesia. Counsel for Japanese insurers in reinsurance disputes arising out of the collapse during construction of a 3 km bridge crossing between Thailand and Laos. Counsel for various European companies in disputes, involving both Singapore and Thailand, in respect of the enforcement of Swiss arbitration awards and a failed venture to use vessels based or maintained in Bangkok to transport oil refined in Singapore to places in Europe. Advising a European manufacturer of agricultural chemicals in various disputes it has with its Taiwanese contractor. Advising in a potential arbitration arising from the construction of a ring road around a significant city in India and a highway from that city to the historical capital of the state. The dispute also involves Indian public interest litigation. Counsel in a SIAC arbitration involving a resort in Micronesia, and follow on tax litigation with the Micronesian authorities. Acting in a LMAA arbitration concerned with the alleged breach of a putative long term charterparty of a newly built container vessel. Advising on disputes arising in the acquisition of interests in coalmines in Indonesia. Counsel for a Japanese litigation company in disputes arising from the termination of distributorship in the South East Asia region. Counsel in proceedings in various jurisdictions arising from a private equity investment into the PRC. Lead lawyer in the judicial management of Poh Lian Construction Pte Ltd, the main operating subsidiary of a listed Singapore company. Lead lawyer for receivers of the Singapore Flyer, an iconic tourist attraction in Singapore. Lead lawyer on the restructuring of the bank and trade debts of Jaya Holdings Ltd, a company listed on the Singapore Exchange, and its subsidiaries. The Jaya Group is a large builder and owner of offshore support vessels for oil and gas industry. The total indebtedness was in the region of almost US$1 billion and the restructuring ultimately resulted in 3 inter-related and inter-dependent schemes of arrangement that enabled the group to fund its shipbuilding program and reposition itself as a vessel owner and charterer. The restructuring involved multi-jurisdictional issues of insolvency and admiralty law, and was completed within a period of 8 months. Acting for the liquidators of the Mauritius ultimate parent of the Metalform Group, an Asian business grouping engaged in contract manufacturing. The matter was litigated through the courts in Mauritius and on appeal to the Judicial Committee of the Privy Council in London. The liquidators were successful at each level of the litigation. Advising a leading multinational lease finance player on its claims against a Singapore listed company in the contract manufacturing industry that had been put into judicial management. Advising the trading subsidiaries of a leading South Korean conglomerate on its claims in the winding up in Belize and Singapore of the Projector Group, an oil trading enterprise with operations in London, Geneva, Dubai and Singapore. Lead lawyer in the financial restructuring of a listed shipping business trust. Lead lawyer in opposing efforts to impose a debt for equity swop on creditors of a listed shipping line in Singapore. Sole arbitrator in ICC proceedings relating to the sale of goods into Australia. Sole arbitrator in ICC proceedings for additional charter party hire in respect of the carriage of iron ore fines from India to China. Tribunal member in SIAC proceedings relating to interests in one of the largest coal mines in Indonesia. Sole arbitrator in SIAC expedited proceedings relating to the manufacture and supply of diodes for solar panels. Sole arbitrator in SIAC proceedings on a shareholders agreement between an investor and the original owner of the subject company. Emergency arbitrator in SIAC proceedings where there were cross applications for emergency interim relief. The dispute related to the distribution of passenger vehicles in a large Asian market. Tribunal member in SIAC proceedings on a power plant project in Pakistan. Sole arbitrator in a HKIAC proceeding between a North Asian brand and its PRC contractor in the business goods space. Tribunal member in a dispute arising out of a private equity investment into Indonesia. Fellow of the Insolvency Practitioners Association of Singapore. He contributes the chapter in Halsbury’s Laws of Singapore (Vol. 12) on Banking and Finance, on liquidation in the “Law and Practice of Corporate Insolvency” (2005), on sureties in the "Law Relating to Specific Contracts in Singapore" (Thomson, 2010), on the enforcement of awards in “International Arbitration Checklists” (2nd Edn, Juris Publications, 2009), on setting aside awards in “Arbitration in Singapore: A Practical Guide” (Sweet & Maxwell, 2014), and on Law and Practice of Commerical Litigation in Singapore (Sweet & Maxwell, 2015).